There are several types of potential teeth cleanings one might have to go through depending on your circumstances. If you’re nervous about the dentist, or just curious about what you might be in store for, than it’s helpful to understand more about the process. Here, Dr. Sid Solomon offers to break down the various types of dental cleanings in detail. 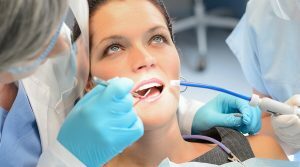 The standard teeth cleaning is known as prophylaxis, which is a regular cleaning that is performed twice a year to try and prevent dental issues. The cleaning uses various tools to remove plaque from the teeth, including hardened plaque at the gum line. These cleanings help reduce stains, but bleaching may be required for more significant stains. Typically, these cleanings are performed by a hygienist, not the dentist, so they tend to be relatively affordable and very quick and easy. If you suffer from gum disease, then you will need this non-surgical deep clean. This cleaning is designed to remove the build up of tartar. If your gums bleed when you floss or brush, or they are red or puffy, you may have issues with gum disease. Known as periodontal cleaning, this follow up is designed to help prevent gum disease by disrupting bacteria growth. Typically, it’s done every three to four months and similar to a deep or standard cleaning depending on how far along your symptoms have progressed. It’s really up to your dentist and hygienist to decide what kind of cleaning you might need. The best thing you can do is try to take good care of your mouth.